Word On The Street is TODAY! Bring your umbrella and check out Ultraist Studios and Possum Press at booth MM19. We have new comics, free sketches and BUTTONS! *UPDATE* I probably won’t get around to posting pics from the show, so instead, why not head over to POSSUM PRESS and read Blair’s report, and see some sketches and pictures! *UPDATE 2* The Urban Firefly wrote a Word On The Street report featuring SPY GUY and THE POSSUM. Very cool. You can read it here. Hi Everyone – Check out some of the below forums where SPY GUY #1 is being previewed, and maybe even leave a comment to give the topic a BUMP! Now you can read it online right here! Or read it on paper by getting a copy here. We’ve just received intel that SPY GUY 1 (and Possum 4) has been spotted in The Silver Snail, The Beguiling, and Dragon Lady Comics in Toronto. Hey folks! 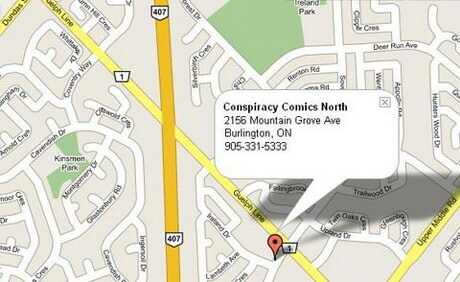 Quick note to let you know that SPY GUY #1 can now be found at CONSPIRACY COMICS – NORTH in Burlington Ontario Canada. SPY GUY #1 (all of them)! This morning I (finally) got the second “over-night” FedEx package from Lebonfon. 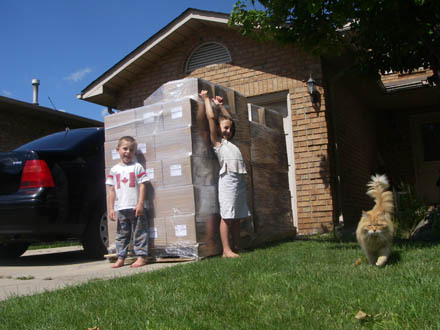 Too bad they didn’t ACTUALLY get here “over-night” on Saturday in time for the Fan Expo, yet I digress. 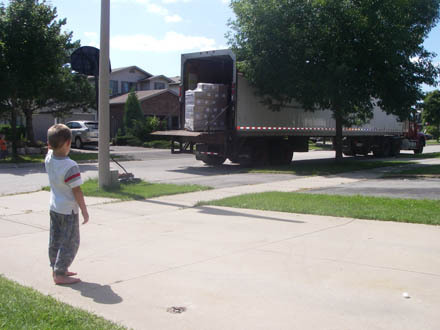 But the even bigger surprise is that not more than an hour later a transport truck arrives with the Mother Load! Yessir! ALL the comics are now here in the Ultraist Studios Suburban Stronghold, safe and sound in the secure underground storage facility. Soon it is time to begin mailing them to the world. And after that… SPY GUY #2.